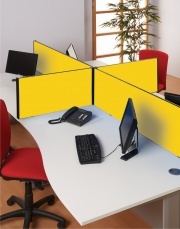 Screens, Partitions and Dividers: We offer a range of Desk Screens, Room Partitions and Dividers. 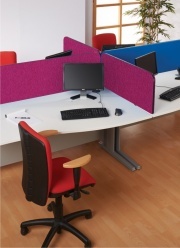 From freestanding floor partition systems to desktop screens they are offered in a range of vibrant fabric colour finishes and shapes. They can come with fixed stabiliser feet or with the option of castor feet for greater maneuverability. 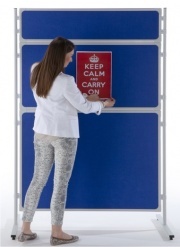 The whole range is complimented by a range of useful accessories.